Scientists claim that Earth sized exoplanets that possess similar orbits such as the Earth's orbiting period around the sun can provide a better understanding of how these alien worlds can harbor extraterrestrial life. Astronomers have been arguing whether exoplanets also follow the same circular orbits of the planets found in the solar system where they are kept at similar distance as the sun or whether our system is unique from all the others in the galaxy. This new study involves the examination of 74 exoplanets that are orbiting around 28 distant stars by scientists from the MIT and Aarhus University of Denmark. According to Vincent Van Eylen from the MIT Department of Physics, just 20 years ago, scientists only knew about the solar system where it is common knowledge for planets to make circular orbits around the sun. 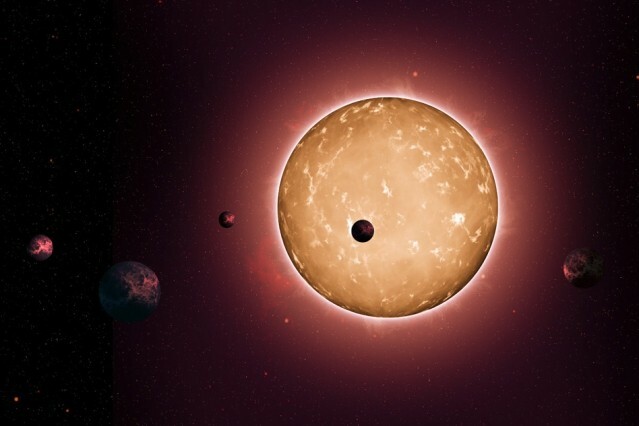 When scientists found giant exoplanets, there was suddenly a new range of irregularities about planets in different star systems apart from the solar system that consists of smaller planets with circular orbits around the sun. This would mean that there is an open question whether this will also apply to smaller exoplanets. During this new study, scientists have found out based on new data that a somewhat equidistant circular orbit is normally found in other systems that consist of planets the same size as Earth. Data was gathered from NASA's Kepler Space Telescope, where researchers used this new information to generate computer models that would apply hypothetical orbits of planets around their parent stars. Researchers confirm that based on the predicted models of data from the telescope along with the orbital periods of the planets, that smaller exoplanets apparently possess regular, circular orbits. In contrast to this discovery, giant exoplanets often have irregular, eccentric orbits that may mean they are either too close or too far away from their host stars. These new findings could imply that Earth-sized exoplanets that possess stable orbits around their stars may harbor ideal conditions for life that could help in the search for extraterrestrial life. Smaller, rocky exoplanets similar to Earth were most likely to have a regular orbit around its sun, meaning these planets could have stable climate that can be more conducive for life as opposed to giant gas planets. This study is published in the Astrophysical Journal.